BYRON, Georgia -- Two central Georgia police officers have been shot while serving a search warrant in Crawford County. Georgia Bureau of Investigation Special Agent J.T. Ricketson tells local new outlets that a multi-jurisdiction drug task force went at 2:30 a.m. Monday to a home on state Highway 42. Byron officers knocked on the door three times and announced themselves, but no one answered. Ricketson says the officers went inside the house and an occupant started shooting at them. The officers returned fire. The condition of the suspect hasn't been released. 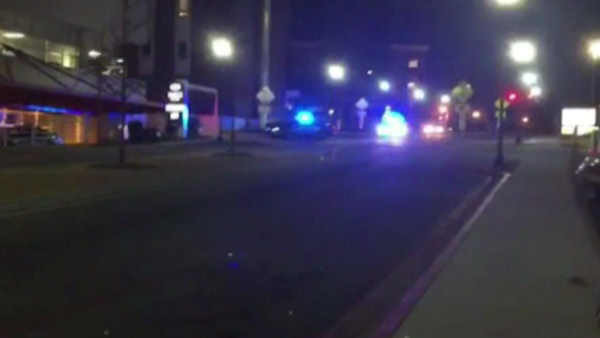 Two officers were taken to Medical Center, Navicent health in Macon. Their conditions weren't immediately known. GBI agents have locked down the scene and are securing search warrants for the property. Further information hasn't been released.